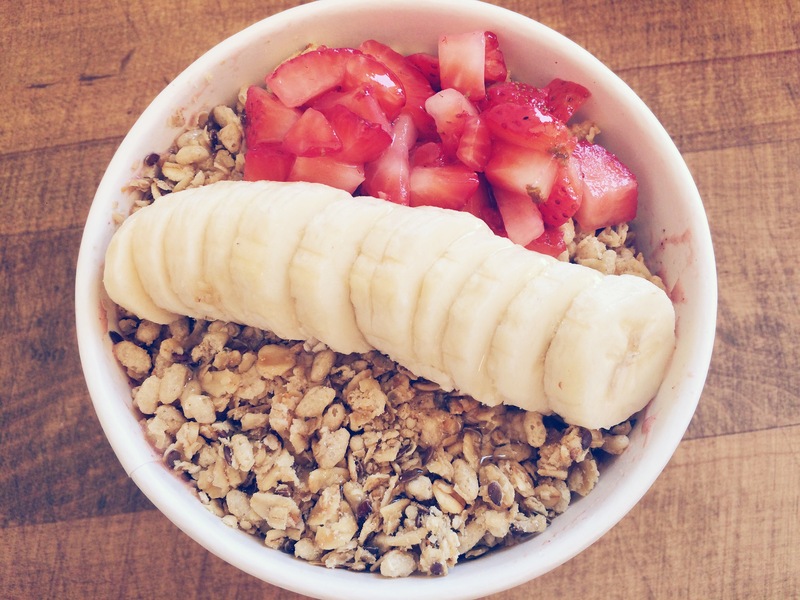 I am probably Acai bowls’ #1 fan. Regardless of where I go, I always find myself tracking down an acai bowl one way or the other. My go-to place is Nektar Juice Bar, because they have a to DIE FOR PB (Peanut Butter) Bowl: An acai bowl mixed with peanut butter, granola, cashew milk and topped with fruit. It’s safe to say this food came down from food heaven. Who said eating your fruit servings wasn’t fun? Blend all tougher in a blender until thick. Pour mixture in a bowl, add toppings and you’re good to go!